I think the property is good and affordable.submitted by Kristin K. - Dec 29, 2016 |Recommended: YesI think it's worth living at Ducks Village for a spacious unit and at an affordable price. I do recommend living here to others because it is affordablesubmitted by Caleb S. - Sep 18, 2016 |Recommended: YesI would tell them to live here because it is decently priced. It's an awesome place for students to live.submitted by Rebecca T. - Aug 25, 2016 |Recommended: YesIt's a really great place for students. It has a pool and a gym which is great for some free time. It is also really close to a bus stop to catch the bus to UO. I've ery personable respectful. The only downside was the absence of natural light in the kitchen no bathtub.submitted by Teresa G. - Aug 03, 2016 |Recommended: YesIt's a great place to live Living close to Autzen Stadium,PK Park and the Willamette river is great The bus routes are easily accessible. Compared to living in other student housing DV is a quiet comfortable place to live. If I was not moving to be closer to my family I would continue living here. Thanks to all the staff here Ducks Village I've enjoyed living here Thank you also for those extra things you provide the hot coffee other drinks, popcorn, snax Red Vines of course. And the BBQ's, final's week goodies the other food times', Y'all have provided GO DUCKS DV, too . Teresa G.
Nice apartmentssubmitted by Amani-B3 B. - Jul 26, 2016 |Recommended: YesThey are good apartments to live in because it's close to a bus stop that takes you right to school and the apartments are nice. It's not a bad place for a college person to live.submitted by Jared G. - May 25, 2016 |Recommended: YesIt's a decent place to live, rent is on the higher side based on other places i've lived. There is parking available at all times, though i don't like the fact that they sell our parking spots to duck's fans on game days. The apartments themselves are decently big, the furniture isn't very comfortable, but what do you expect from a pre-furnished apartment. Overall not a bad place to live. Very well maintainedsubmitted by Nettie P. - May 19, 2016 |Recommended: YesIt's a very pretty place, and the landscape and buildings are kept up on. The staff members are polite and help out whenever it is needed. Safe and Soundsubmitted by Pepetua H. - Apr 18, 2016 |Recommended: YesIt is a relaxed environment that you feel at home in although away from home. 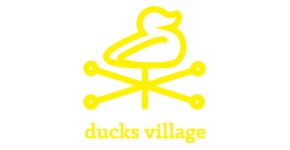 Ducks Village really gives you a great vibe all the while not too hard on your wallet.